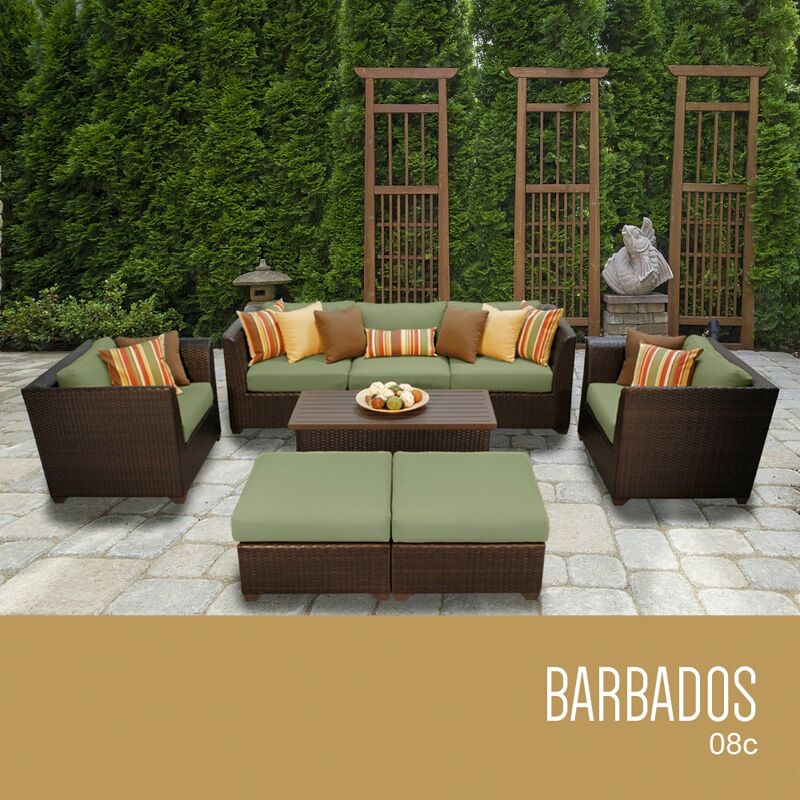 Sink into the plush cushions comfortably fitted between our Barbados curved arms. Espresso-colored all-weather rattan is expertly hand woven wrapping every inch of the durable aluminum frame. Sturdy rust-resistant powder coated feet are color matched to table tops. Thick all-weather cushions are enveloped in 2-year fade resistant acrylic upholstery. FABRIC WARRANTY - 2 Year coverage against fading. CUSHIONS - 6 inches thick for a luxurious look and feel. CUSHION COVERS - Washable and zippered for easy cleaning (air dry only). FEET LEVELERS - Height adjusters for uneven surfaces that won’t mar your patio or deck. FULLY ASSEMBLED - Ready to use and enjoy.